Polythene garment covers for excellent presentation and protecting garments at the lowest prices. Choose from a wide range of strengths and lengths of gusseted polythene garment covers. 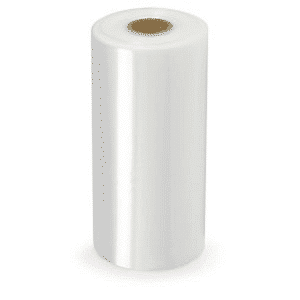 Lighter 75 gauge 18.5 micron poly rolls are more suitable for protecting lighter garments such as shirts or blouses. As a result of a lighter gauge or micron there are more bags on a roll. Heavier gauge or micron poly rolls are ideal for protecting heavier garments such as coats and suits. To cover all your requirements we have shaped garment covers (23″ wide with gusset) that are perforated in lengths of 30″, 36″, 40″, 42″, 48″, 54″, 60″, 66″ and 72″. In addition we also poly rolls in continuous length (without perforations) which you can cut and seal to your required length. 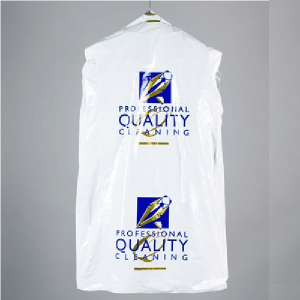 Leading dry cleaners, launderettes and ironing services choose our polythene garment covers because they are very clear, strong and suitable for hanging everything including dresses, shirts, skirts and suits. Poly rolls help protect cleaned and ironed garments from getting dirty when customers take them home. Due to the fact we keep a large stock of polythene garments you can rely on irons.ie to deliver just when you need them. We have a quick delivery of normally 1 to 2 working days across Ireland and UK. We put our poly rolls in cardboard boxes for protection. Get the best polythene garment covers at the best prices by buying from irons.ie now using our fast and secure checkout. It is easy to pay by bank transfer, PayPal or by credit card.